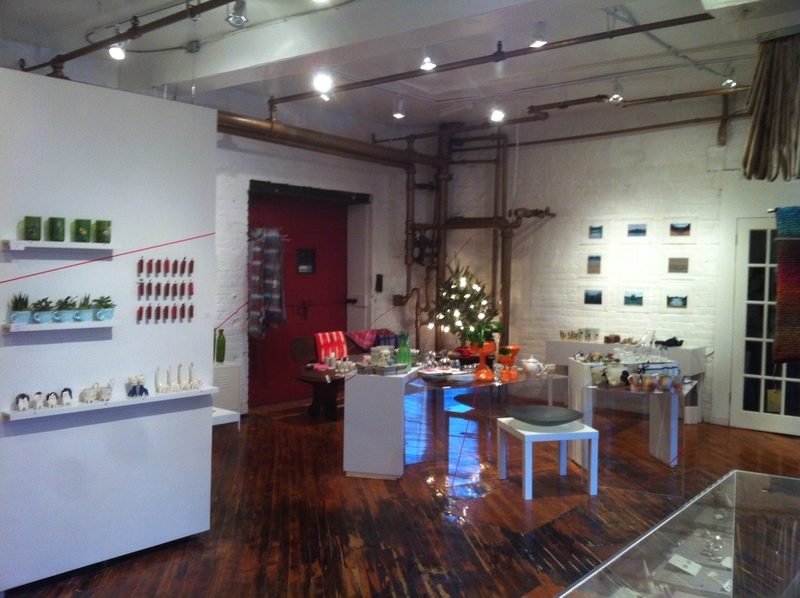 Toronto's group studio "Studio Huddle" is having its annual holiday shopping event this month. I am very thankful to have been invited to participate in this show, with many artists I admire. Jesse and I attended the opening shopping night last Thursday, to shmooze with other artisans and see how they had displayed the work. Margaret Lim did a fantastic job with the display, and the mulled wine was delicious. I always love attending openings but I don't often make it to many because I don't live in the city. When I do get the chance, I try to spend a long time catching up with my craft-peers, and absorbing the quality of the work. There is still so much to learn and exhibitions are one of the best places to be inspired! I'm thankful Jesse is a trouper and joins me on these ventures, even when I spend the night chatting with other artists. 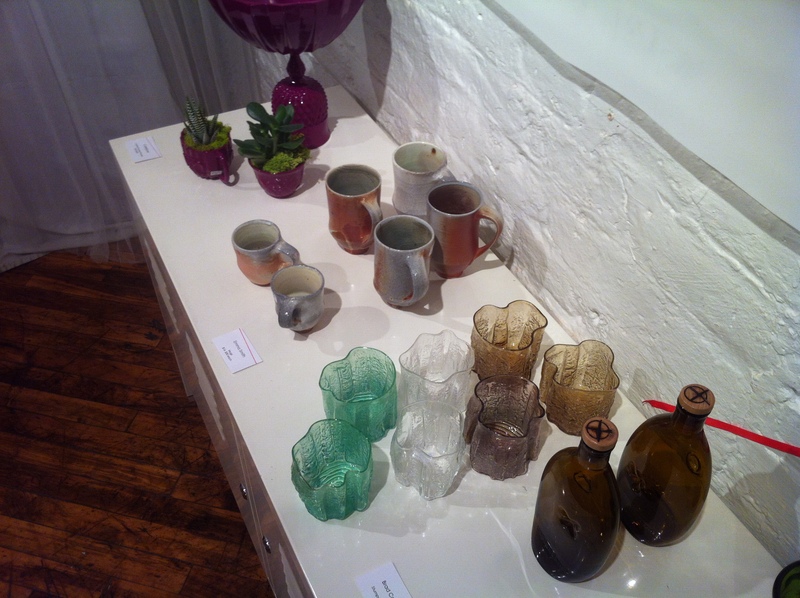 It was very comforting to see my work alongside these other fantastic artisans. To say I am delighted would be an understatement! If you haven't had the chance yet, check out the show this month (it runs until Christmas Eve). I'll be there this Saturday from 2:30-6pm, watching the shop and absorbing the greatness. You could stop and say hello! The work is exceptional, and what better gift to give that special someone, than a one-of-a-kind piece of art? Good morning! The weekend is off to a great start! I will elaborate more in my next post, but FIRST I wanted to let you all know about a lovely new monthly event taking place in Hamilton. 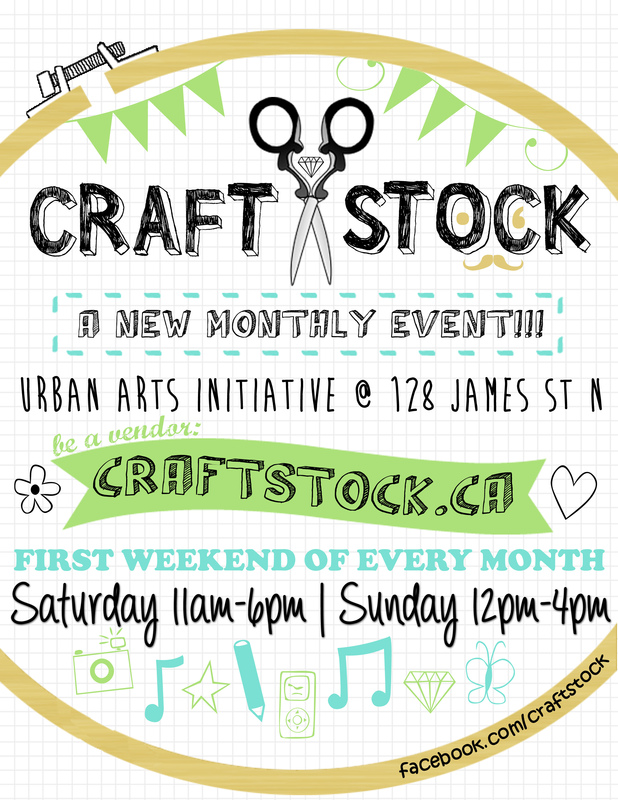 Craft Stock is a new pop-up shopping event hosted by the Urban Arts Initiative at 128 James St. N. Vendors from around the Hamilton area will be setting up booths to show and market their products. I will have my work for sale at this month's event - taking place THIS WEEKEND. You can come by the show and see my work on Sunday, April 7th from 12-4pm. Spring is in the air - what's a better way to spend the weekend than visiting a show full of crafted lovelies?